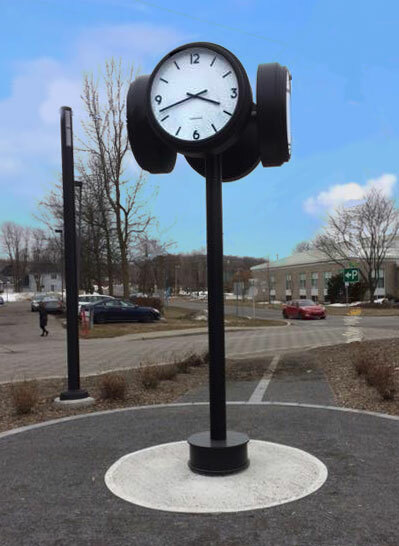 Electric Time Company’s Four Dial Moderne Street Clock has a simple, clean design. 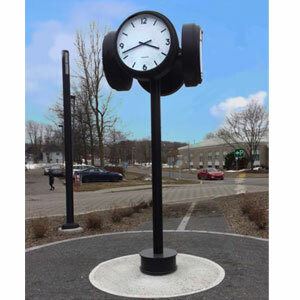 The clock can be used in many settings – from train stations to residences. 4 Dial LED lighted street clock. Aluminum post with a polyurethane painted finish with a clear coat. 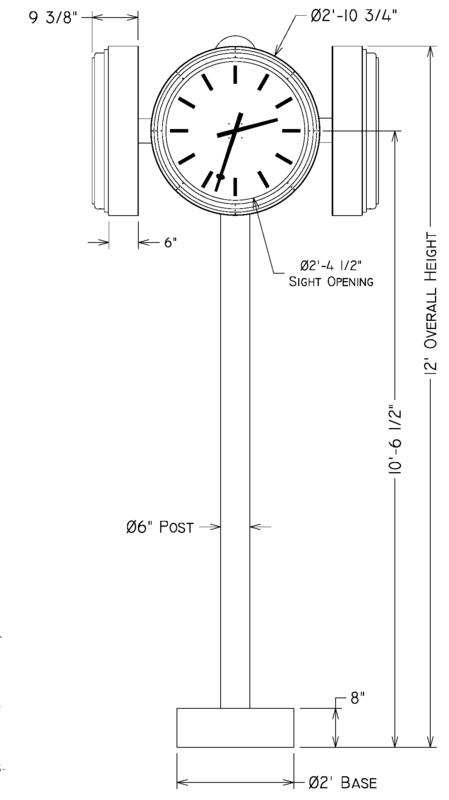 Clock faces are settable from the front by means of a set knob. Optional automatic control with GPS receiver. Also available with color-changing RGB LEDs. Contact factory for additional details.